Blog2Social saves your time and prevents you from this sharing-pain like Chris Abraham says. And it does so much more for you. But on this side we do not want to share our view on our social media tool, but give our users and friends the opportunity to do so. Here please find a selection of reviews. More reviews? 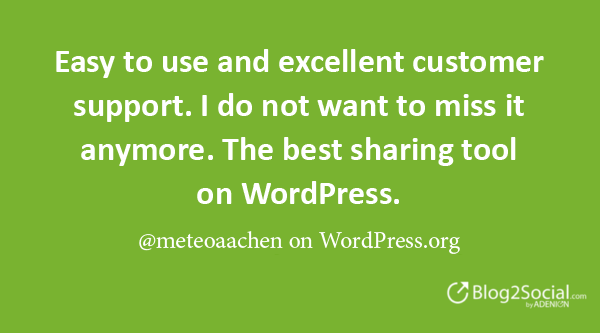 Check out what others think about Blog2Social on WordPress.org. 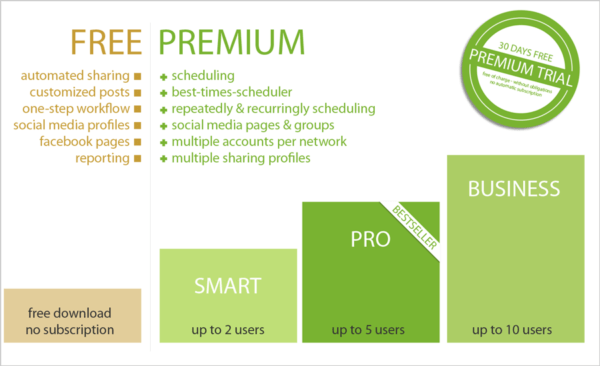 Start sharing today and test Blog2Social Premium for free. 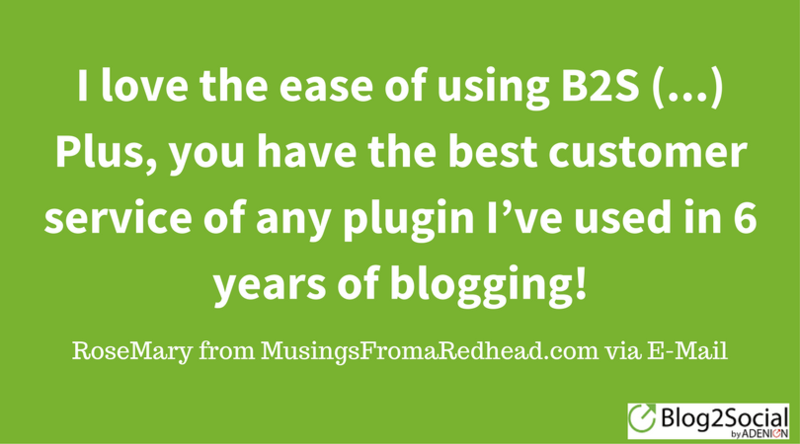 “The free version of blog2social includes all the apps I want to use – facebook, twitter, instagram, pinterest, and linkedin, plus more – which is great. Set-up for each was a very simple process of entering a couple of fields and a few clicks (except for Instagram, for me). Once set up was complete, posting to these apps is beautifully simple with a one-click share to all. “This is a lifesafer of a tool. 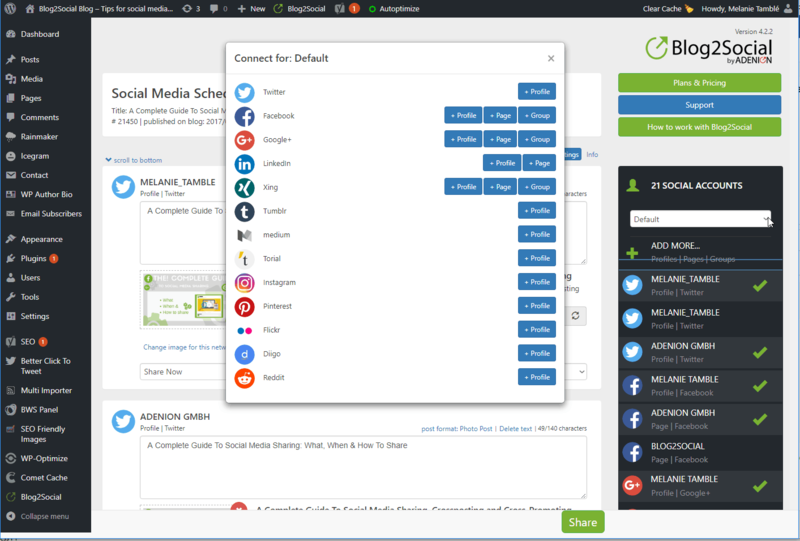 Again a free WordPress plugin allows you to setup 15 different social media platforms (including Reddit, LinkedIN, Twitter and so on) and once you have published your blog post, you can then with the click of a button instantly share out to all 15 platforms. “Uno de nuestros complementos favoritos para hacerlo es Blog2Social , que no solo incluye una función de publicación automática, sino que incluso le permite optimizar sus tiempos de entrega. Blog2Social es una de las soluciones de publicación automática más completas para WordPress. No sólo le permite compartir su contenido en la mayoría de las principales plataformas de redes sociales, sino que también le permite programar publicaciones para una fecha u horario especifico. 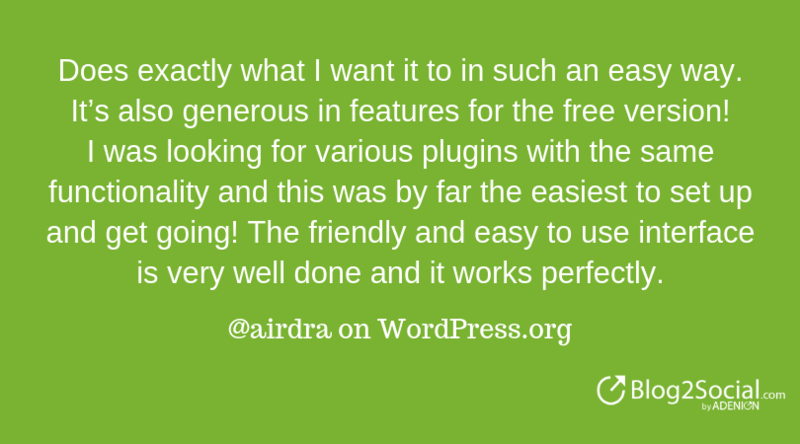 We have been using a different plugin for years and tried this one by chance. Well, what can I say: we are thrilled. The functions are versatile and the posts can be planned very flexibly. In the test phase we had to use the support, we were helped quickly and friendly. 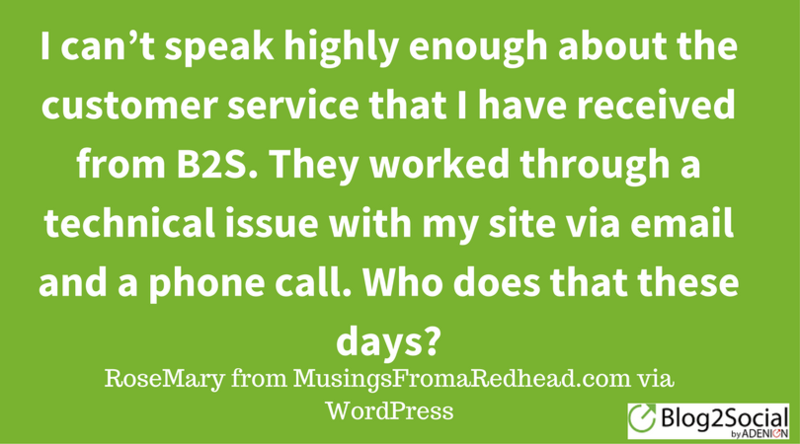 @timabel on WordPress.org: “Blog2Social became a dream come through for me after I had tried with several plugins and gotten no results. May not have been because I didn’t know how to use those, but sincerely, they were difficult for a non-technical savvy like myself. 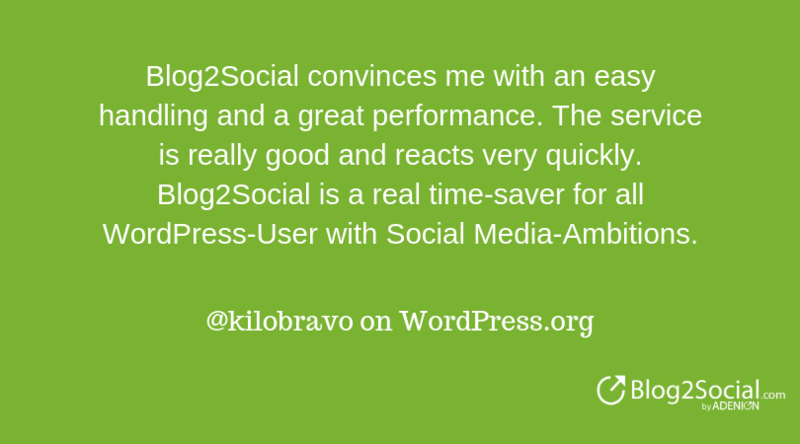 Blog2Social is a time-saving WordPress plugin that offers solutions to social media workers and marketers, small business owners, agencies, and others who look for ways to cross-promote and share blog posts on social media websites including Facebook, LinkedIn, Instagram, Google+, and others. 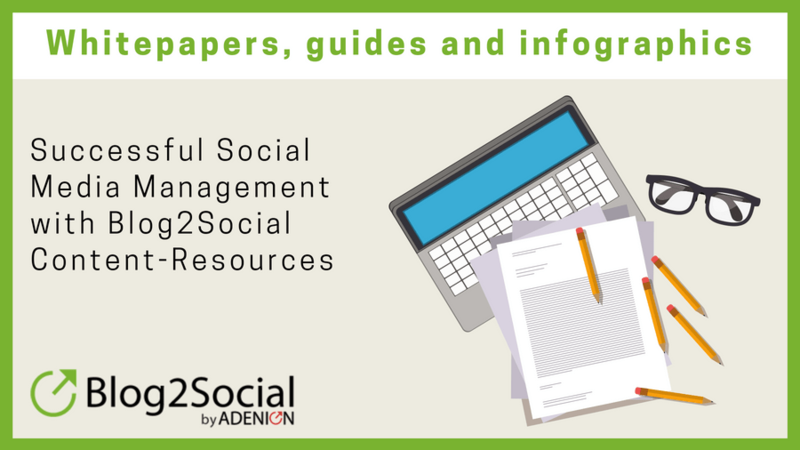 With Blog2Social, it’s easy to auto-schedule publishing of your social media posts. 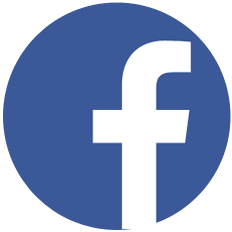 It also enables you to individualize posts, which adds a personal touch to every message. 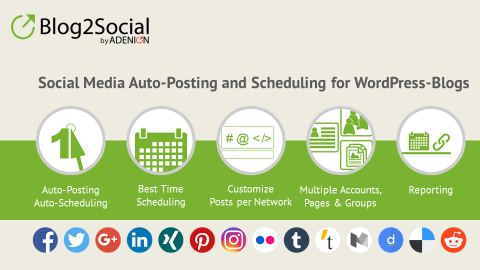 Thanks to Blog2Social’s Social Media calendar, managing the timing of post will be a breeze. 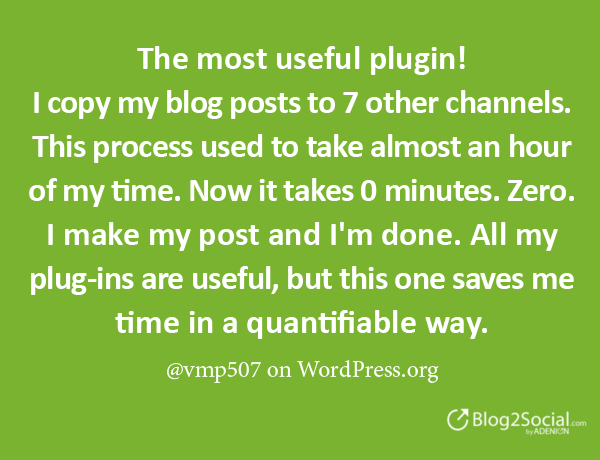 Use the Blog2Social WordPress plugin to auto post, cross promote, schedule, automatically share your blog posts to social networks for the best times to post to profiles, pages and groups. 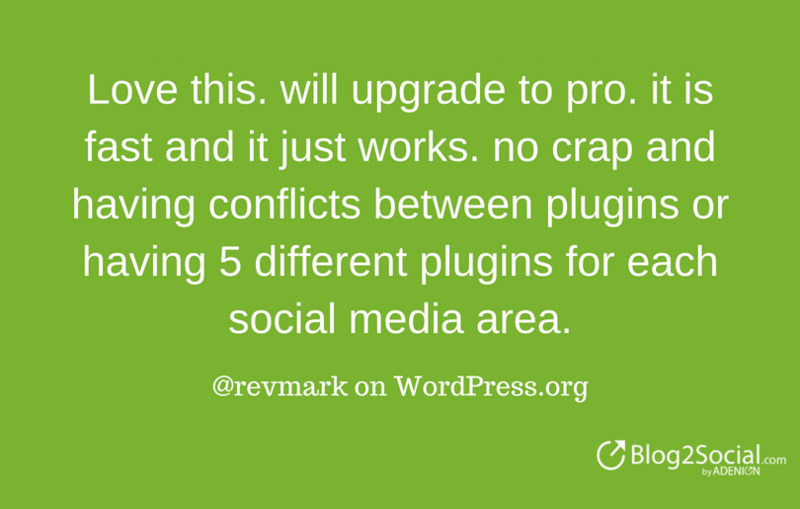 Blog2Social is a relatively new WordPress plugin. It’s continually adding more automated functionality to make scheduling your blog posts to social media as painless as possible.The built-in Best Time Scheduler is a powerful time-saver. Even if you haven’t created your preferred schedule, you can use the predefined best times from Blog2Social. The Blog2Social Premium version is definitely a time-saver with its auto-posting and unlimited scheduling options. The recurring option could keep your evergreen posts going for a year. 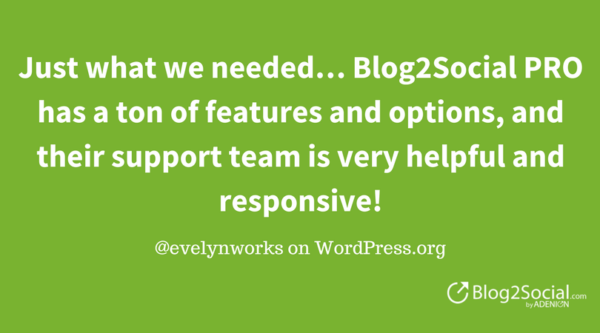 Blog2Social, a WordPress Plugin, is a fantastic tool to get your new blog post published across all your social media platforms from your website. 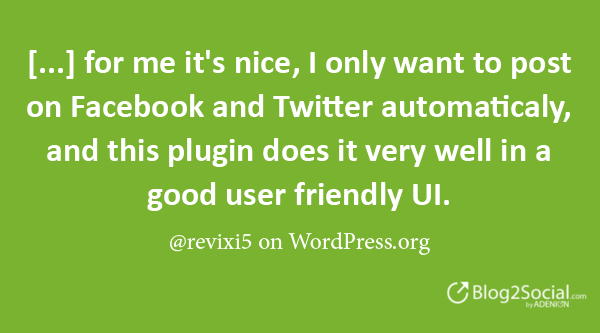 I keep using so many plugins across my sites but this is becoming my favorite. 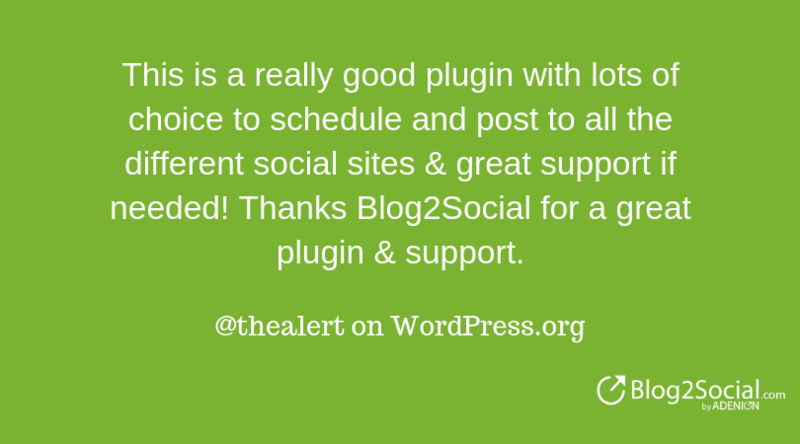 Blog2Social is the best blog to social media auto post and scheduling plugin. 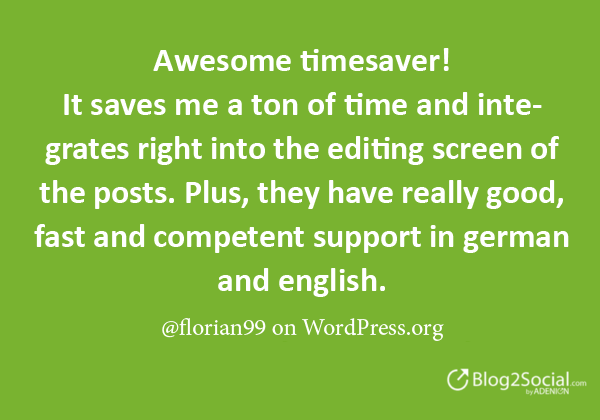 As a blogger, you may have had several drafts / unpublished posts in your WordPress editor and waiting for the right time to publish it . 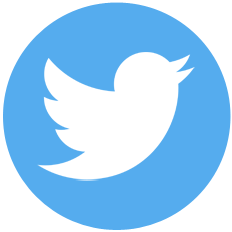 This should be done correctly, so as to ensure maximum visibility, more traffic and subsequently more impressions. 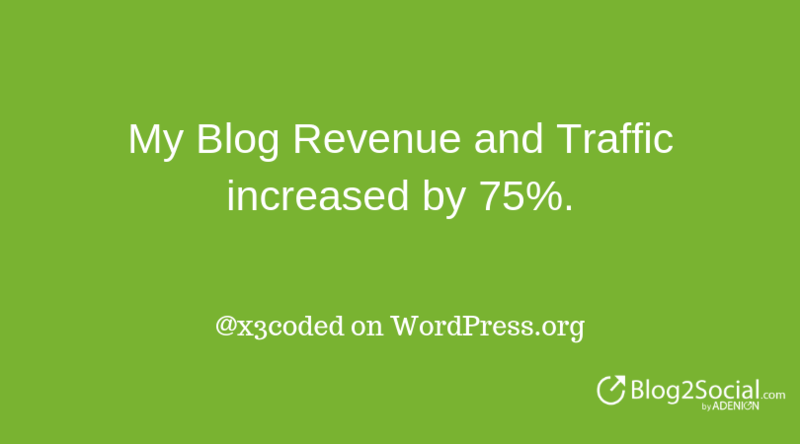 If you had a blog marketing plugin, it would have made your life simpler for you. 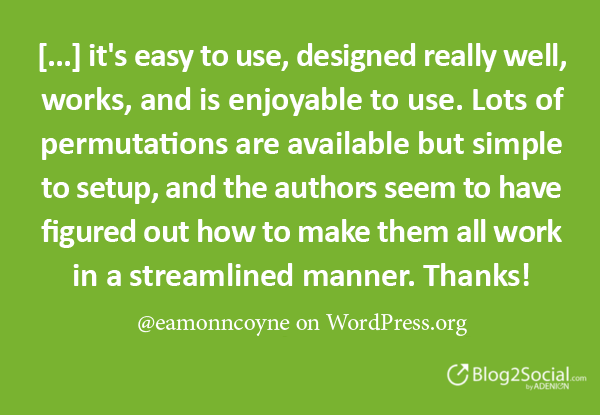 This post is about one such discovery of a wordpress plugin. Setting up a blog in current day scenario is no less than a cake walk. There are tons of free services that allow you hop on the blogging bandwagon. 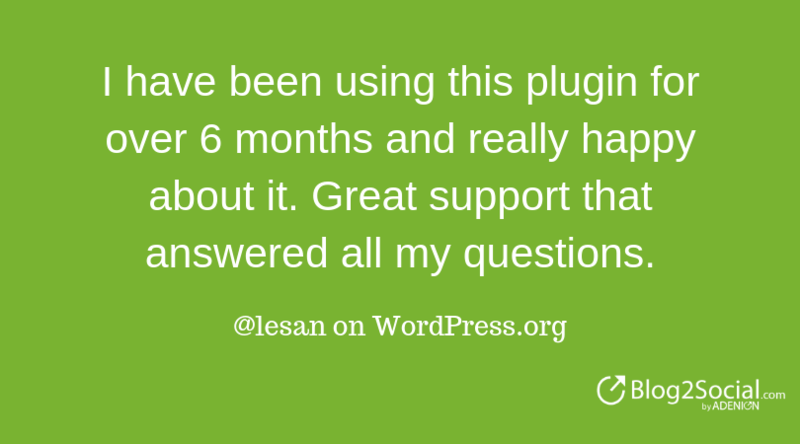 If you are running a website on WordPress you know how easy our lives have become with plugins. 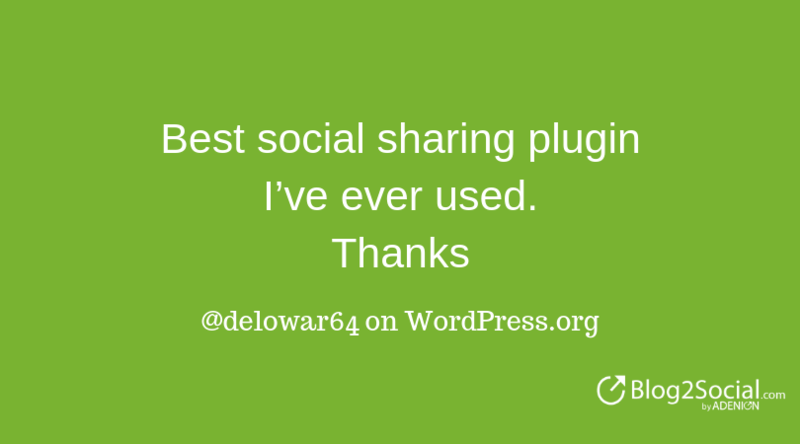 One such plugin that I’m reviewing today is Blog2Social which is a freemium plugin for WordPress. 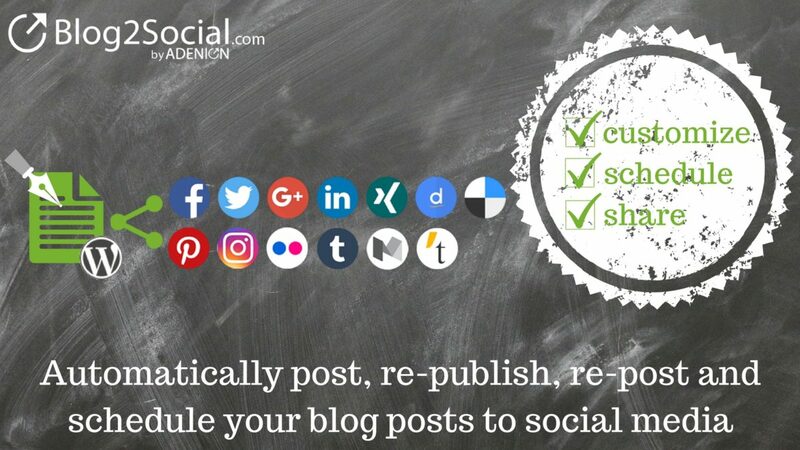 Social media plugin Blog2Social publishes blog posts on your profiles, business pages, and community websites, as well as in groups on all of your networks. 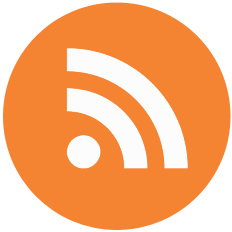 Lori Soard on webhostingsecretrevealed.net: “Blog2Social is one of the more adaptive and interesting plugins out there. One of the features I really like about Blog2Social is that the same post isn’t pushed out to every social media network but is customized to better suit that platform. Kristel Cuenta on socialmediaexaminer.com: That’s where the Blog2Social plugin comes in. It lets you automatically schedule and share your new blog posts to your social media channels. You can customize your posts for each network if you want and schedule them at optimal times for each audience. 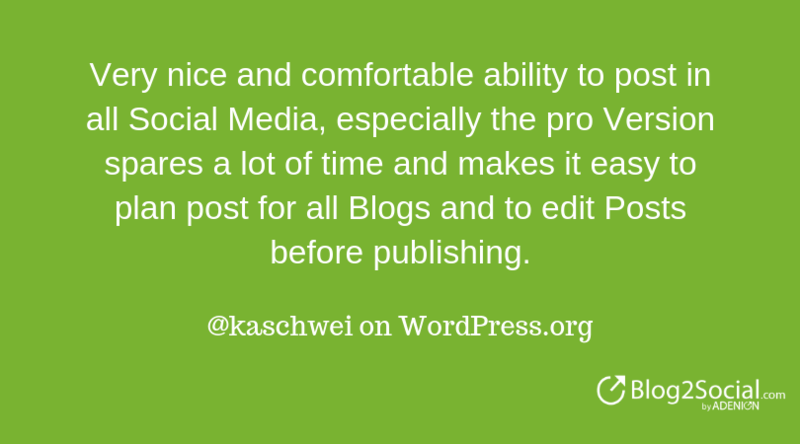 Do you want to make your WordPress blog more social media-friendly? 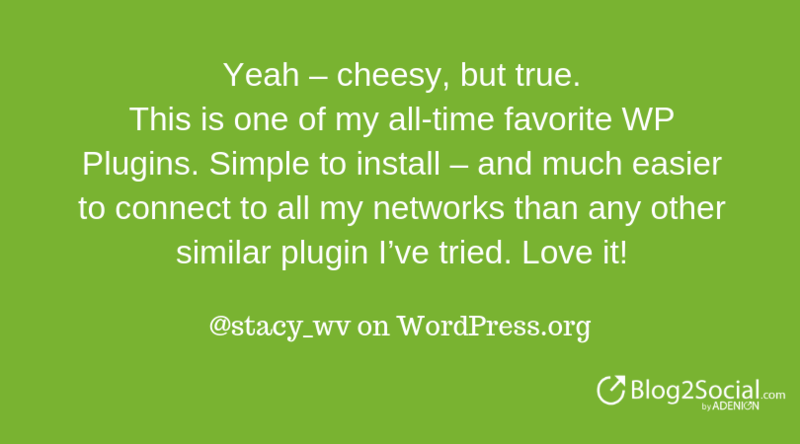 Discover eight easy-to-use plugins to socialize your WordPress blog. 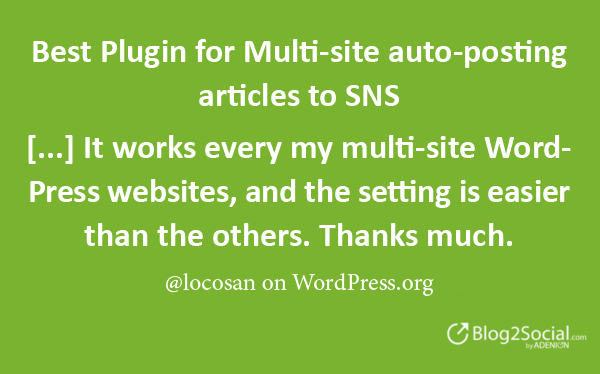 seethroughweb.com: Thank you Blog2Social for a great plugin!Luckily, we managed to find a plugin that accomplished our goal and after some considerations we decided to go with Blog2Social – Social Media Auto Publish. The experience of the setup and use was great with a few clicks your image will be simultaneously posted on your website and your Pinterest Account, saving you time and keeping your digital marketing presence relevant. Best way to publish images to WordPress and Pinterest simultaneously! With this solution you can post images to your WordPress website and Pinterest automatically, save time and keep your digital marketing presence relevant. 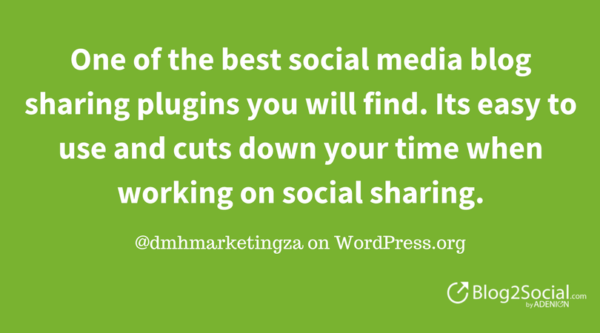 Here are the Best 8 WordPress Social Media Plugins to increase the exposure and traffic of your blog posts with minimum effort. 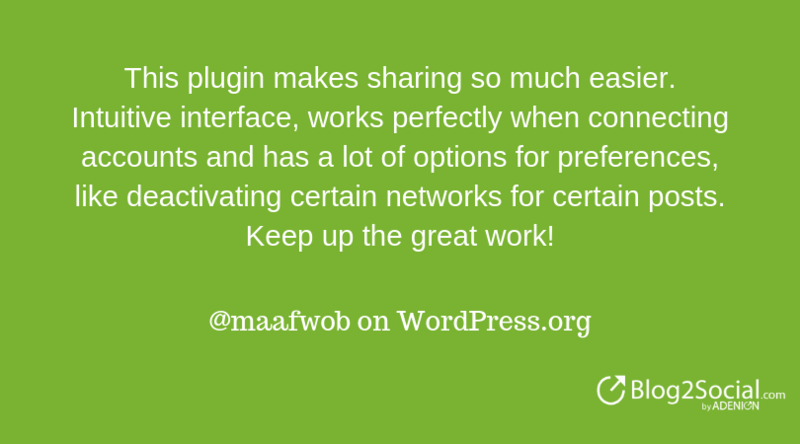 Jawad Tahir on bestcmsplugins.com: The biggest difference to other social media plugins and tools is, that the same post isn’t pushed out to every social media network but is automatically adapted in the best format for each network. And, optionally, you can customize your posts to even better suit all of your networks and communities. 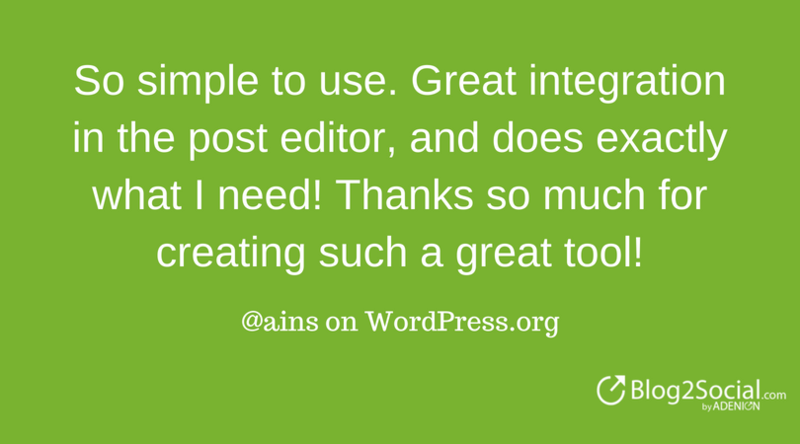 Adding the right plugins to your WordPress blog will help bring in more visitors and subscribers. 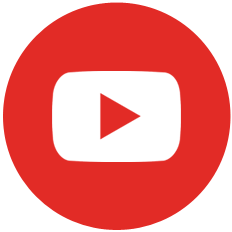 As a business owner you want your content to get noticed. 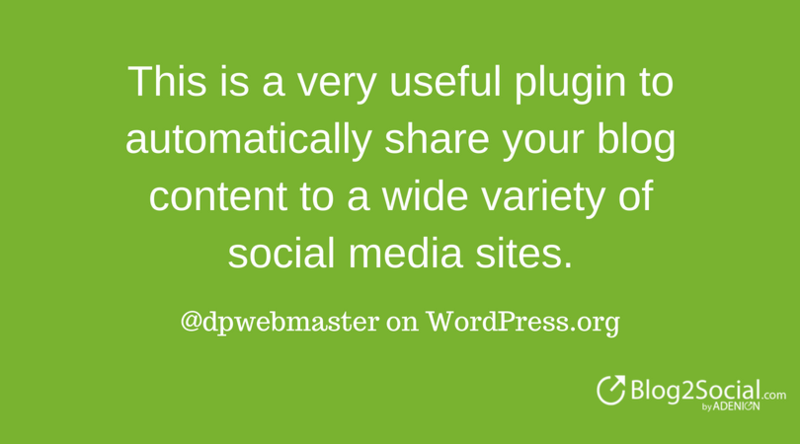 Want to know why using Blog2Social WordPress plugin to share to Instagram struck my fancy? Well it’s because I wanted a way to share my post images to Instagram without having to do it from my phone. 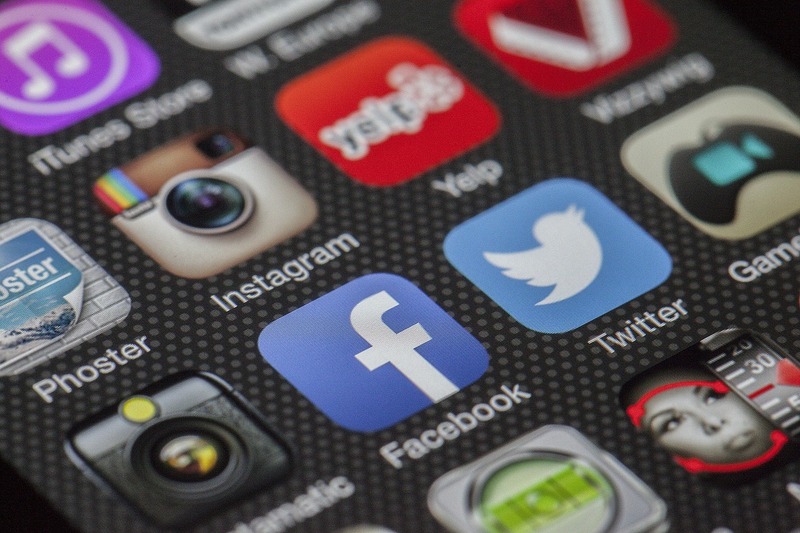 Whether you run an e-commerce website or a company blog, social media integration can’t be ignored. 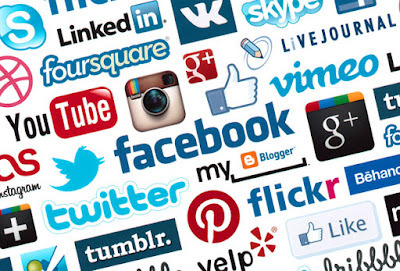 Here are 8 of the best WordPress social media plug-ins. Chris Abraham on biznology.com: “You know all the hell I go through every time I publish a blog post? The hell I will go through after I hit submit on this post? The process I go into in great depth on If you post it will they come (to read your blog)? Well, I have it all automated now, at least over on my RNNR.us blog (and this is a very low-traffic vanity blog that’s brand new, is not monetized, and I am no fitness star, so when you look at the traffic spikes, keep everything in perspective). 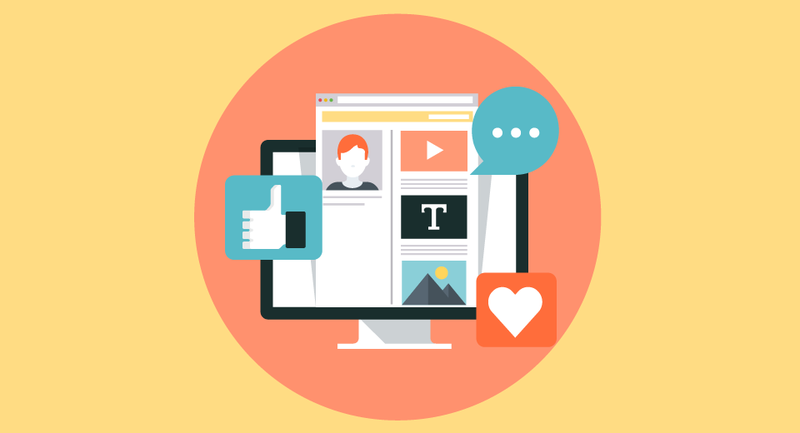 Share your blog posts customized for each network, automated and scheduled at the right time on social media profiles, pages and groups. Where is your review? 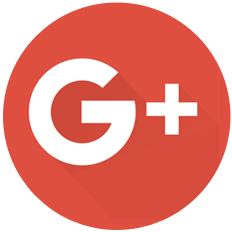 If you want to check Blog2Social in deep and share your impressions and findings with other users, please let us know. 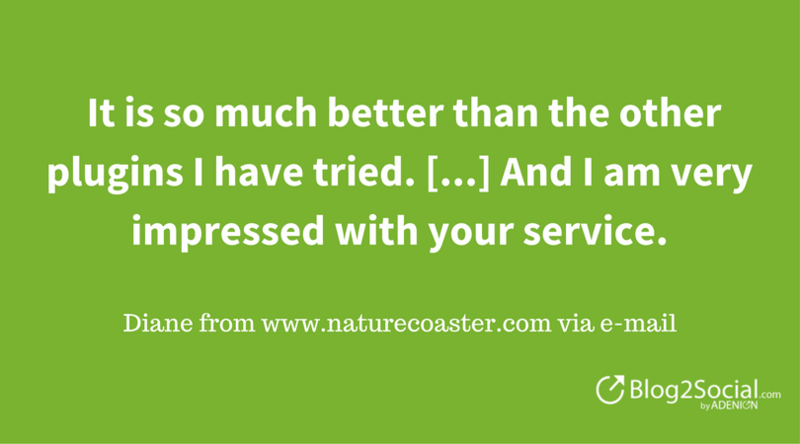 We always appreciate new reviews or your 5-star-rating on wordpress.org.